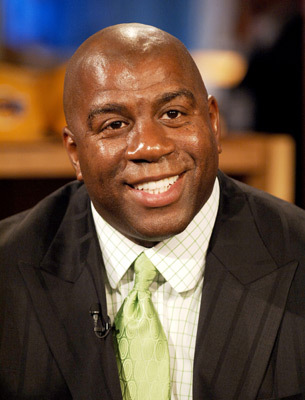 Magic Johnson and Ron Burkle have invested in Vibe Holdings, the parent of Vibe magazine and the Soul Train TV show. As part of the eight figure deal, Johnson will now be chairman of Vibe Holdings. By investing in Vibe, Johnson and Burkle are putting a lot of money and power behind the brand, which is sure to attract the attention of competitors Ebony and Jet. It’s also interesting to note that Johnson had previously tried to acquire those magazines, only to have talks break down when he couldn’t settle on a price with their publishing house. As a way to combat Johnson’s impact with Vibe, FishbowlNY suggests that Ebony and Jet get Larry Bird involved somehow. The rivalry must continue.